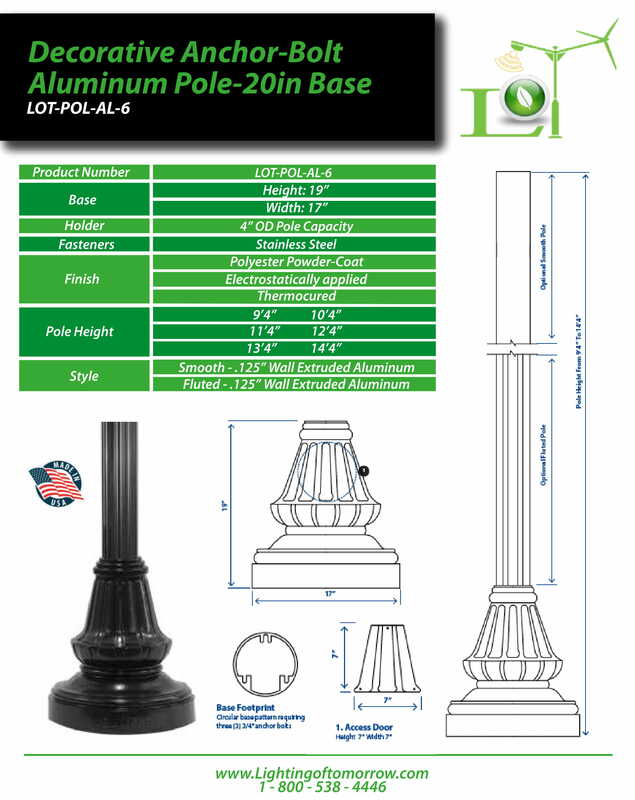 This Decorative Anchor-Bolt Aluminum Pole-20in Base is a hurricane rated, traditional style light pole. Manufactured in the United States of America with durable .125in thick extruded aluminum with stainless steel fasteners, this base has a 7” x 7” access door, a 4 inch OD pole capacity, and is finished in a thermocured, electrostatically applied, polyester powder-coat. Poles come in various heights and may be smooth or fluted to suit your property’s desired aesthetic.